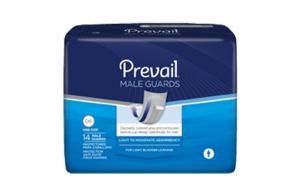 Prevail Male Guards with Cloth-like Outer Fabric are designed for stress and urge incontinence. 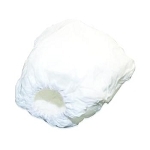 Featuring the Target Acquisition Zone and the Blue Stay-Dry Strip, liquid is quickly wicked and locked away from the skin for ultimate skin dryness, leakage protection and odor control. 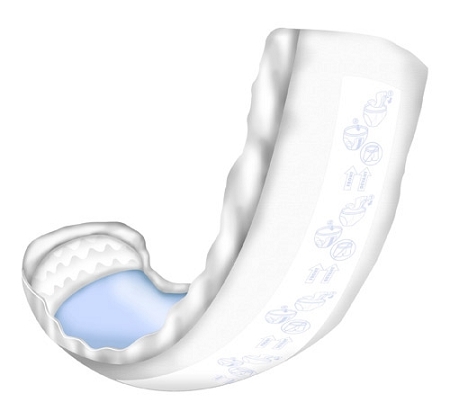 A cup like shape and full adhesive strip provides protection specifically designed for men.